If we are honest, many African- Americans waited with baited breath hoping that Mike Brown was not killed while committing a crime. For many of us it's our worst nightmare. That is, giving white America the fuel to say that our senseless death is justified. The Politics of Respectability has long been an issue for Black America. We have had to prove over and again that we are American too, in so many ways and so many times, that calling the role would be endless. There has also been a duality in regards to the issues of respectability in the black community. While respectability has been used against us, it has also been one of the things we have believed would make America accept us. At the end of slavery, we sat out to prove that we could be American by how we dressed, our education, how hard we worked, how we worshipped and especially through moral dignity, i. e. what came out of our mouths, fowl language was frowned upon, as was drinking. Many of the Black baptist women were strong supporters of the prohibitionist movement. By the late 1800's, uplift of the black community through morality was deeply rooted within the black community. I highlight this in my book The Politics of Respectability. Respectability influenced our daily living and how we did politics. All of our organizations that were formed during this period were rooted in respectability and many of those social/service organizations remain today. Yet by 1896 equality in American was dealt a harsh blow with the Supreme Court ruling in Plessy v. Ferguson that declared separate but equal legal. That ruling would last until the Civil Rights Act of 1964. Plessy sent a strong message that black people in American had no rights that a white person had to respect. Even the dissent in Plessy first argued that Black people were unequal humanly to whites, but that we should be given rights because the disenfranchisement of one group of people, even humanly unequal people, can create a slippery slope for the disenfranchisement of other segments of society. We have seen this fundamental belief of human inequality play its self out in the legal system and in the media over and again through the ream of respectability. 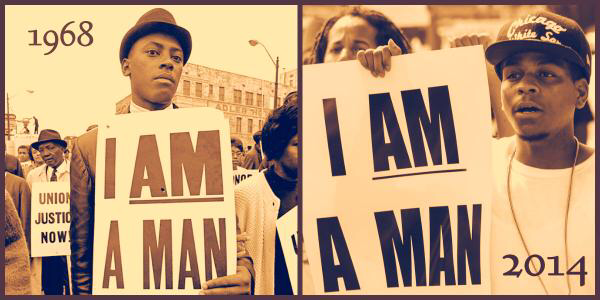 Respectability has been the litmus test rather then justice for blacks in American over and again. There is an assumption that he must be flawed in someway and that is what caused his death rather than injustice. Most recently, we can look to the Trayvon Martin's case. The underlined assessment of White America was that he must have been a criminal or going to engage in criminal activity because he was wearing a hoodie! George Zimmerman's argument was that Trayvon, "looked suspicious" because of how he was dressed. A child on his way home from a grocery store carrying juice and a bag of candy was killed because of how he was dressed and his murderer acquitted because reasonable doubt was given based on the character of that child. Time and time again we have watched the criminalization of the victim at the hands of the actual criminal, the legal system and the media. In the case of Michael Brown after a week of silence from the Ferguson police we were told that minutes before his death, that Michael had been involved in a "stronghold robbery." Mind you, this was a press conference to release the name of the police officer that killed Michael, but instead became an assassination on his character. 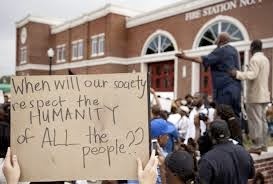 Blindsided, many in Black America retreated. How do you argue for this child in the face of his behavior became one school of thought. I believe that this is driving the lack of voice among celebrities and public figures around this case. The video released was embarrassing, but within an hour Black Twitter had taken up Michael's defense. Murder is murder. No matter how you spin it, Michael was unarmed and shot multiple times. Ferguson residence increased their in protest and have stayed in the streets. Tweets came hard and heavy dissecting Chief James Thompson statement. By the afternoon the police chief held another press conference and admitted that police officer Darren Wilson did not know that Michael was involved in any crime when he stopped him. The robbery had nothing to do with the incident, Michael was stopped simply because he was jay walking. The Department of Justice asked the Ferguson police department not to release the tape because it was inflammatory and would create more tension in Ferguson, which it did. Attorney Crump, the attorney for the Brown family didn't know that the tape existed and Chief Ron Johnson of the State Trooper, who was brought in to handle security after the first night of riots said he had no idea that Brown was involved in a crime prior to his death. The Ferguson police had never mentioned that fact to one of their team members. He also condemned the release of the tape. Later that day, the police chief was cornered by Don Lemon from CNN and said that he released the information about the robbery because it was requested in the freedom of information act from the press. Chief Thompson seems to be standing on shaky ground. At the end of the day, how can the media request something they never knew happened? Even the owner of the store admitted to CNN that they never filed a police report, never even called 911. We saw media outlets run with the story like a pack of wild dogs. Even after the chief's second press conference clarifying that Michael was NOT a suspect when he was stopped, the media still continued to call Michael a robbery suspect. 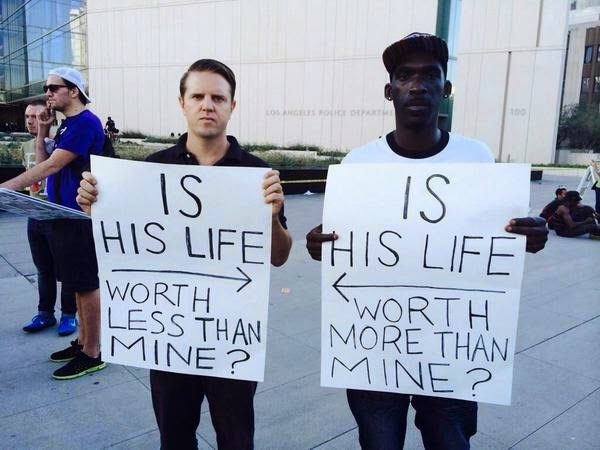 Why is it that African-Americans always have to prove that we deserve justice in the face of injustice? Many in Black America believe without a doubt if Michael Brown had been a white child the media's angle would have been different from day one. 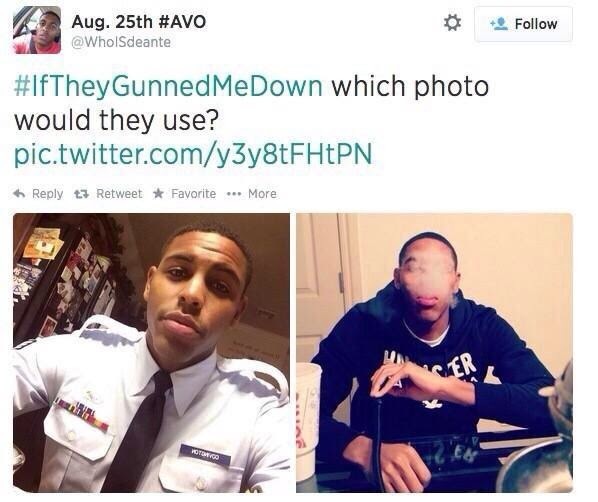 There is a twitter campaign called #iftheygunnedmedown which suggest unfairness in the media with black victims. With a display of side by side pictures of a person being a "good citizen" and the other "joking around and being mischievous" the question is, if they gunned me down what picture would the media use? The media should be embarrassed that a segment of society have no faith in being portrayed in any sort of positive light, or with fairness. 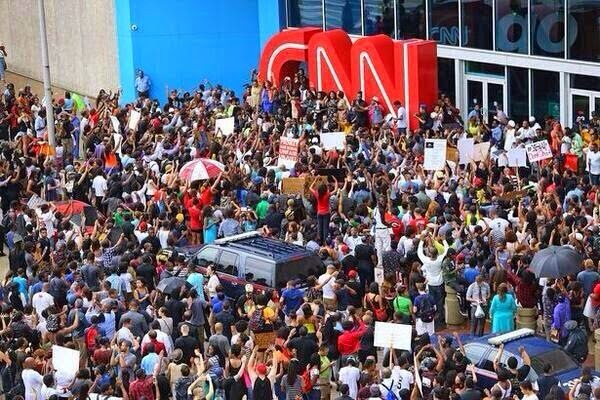 There have been mass protest at CNN headquarters in Atlanta on the Ferguson coverage. We are now faced with a eye witness testimony that says they witnessed Michael Brown in some sort of scuffle with the police officer. Also the coroner's office leaked that Michael had marijuana in his system, but still have yet to produce an autopsy. Just two more things that murky the water in the face of justice. 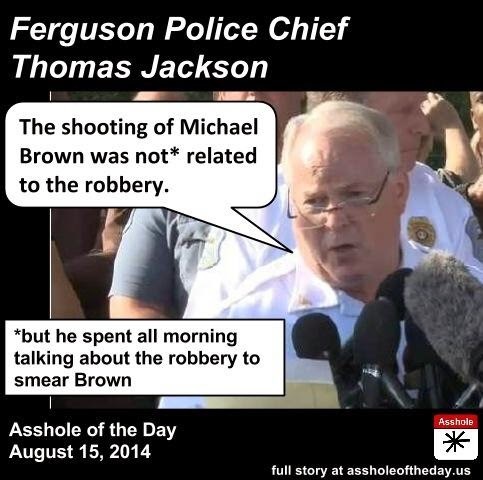 The assassination of Michael's character is in full force and Darren Wilson is on paid leave hiding. As they head to the Grand Jury we have media outlets like the New York Times pointing out that there are different eyewitness accounts but nothing about the police chief changing his story. Yet witness Dorian Johnson has never changed his story and all the witness agree that Darren Wilson shot unarmed Michael Brown down in the middle of the street. As we try to make sense of the autopsy, ballistics and eyewitness accounts, I challenge Black America to stand on the moral ground that this unarmed young man was murdered and not wavier in the face of respectability. I challenge White America to see black people as human deserving protection under the law without some type of litmus test of our moral fiber. I would rather stand on the moral ground of what's right any day over and above denying justice in the face of wrong because a person doesn't live by your standards. I believe we can help set the tone on this issue of respectability, by not making this case an issue about mortality,, but about justice. There are no perfect people but there is a standard of justice. We must demand justice for Michael Brown. 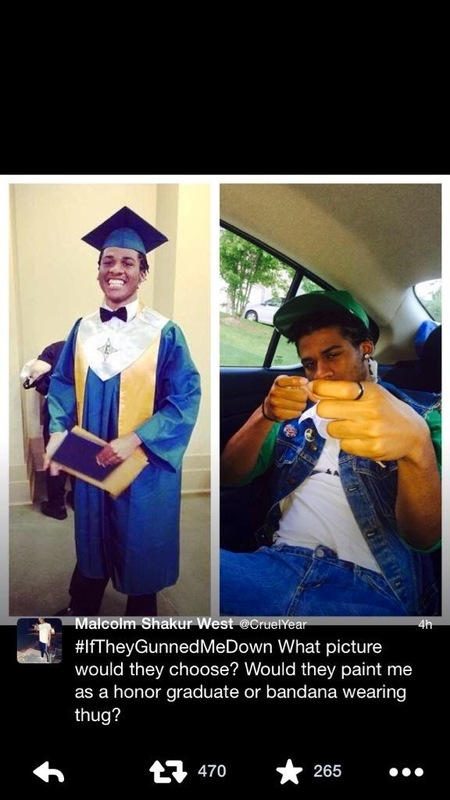 No matter how you spin it, this young man had no gun or any form of weapon. He was shot at least 6 times and laid in his own blood for four hours in the middle of the street. The police are given a duty to protect it's citizens. 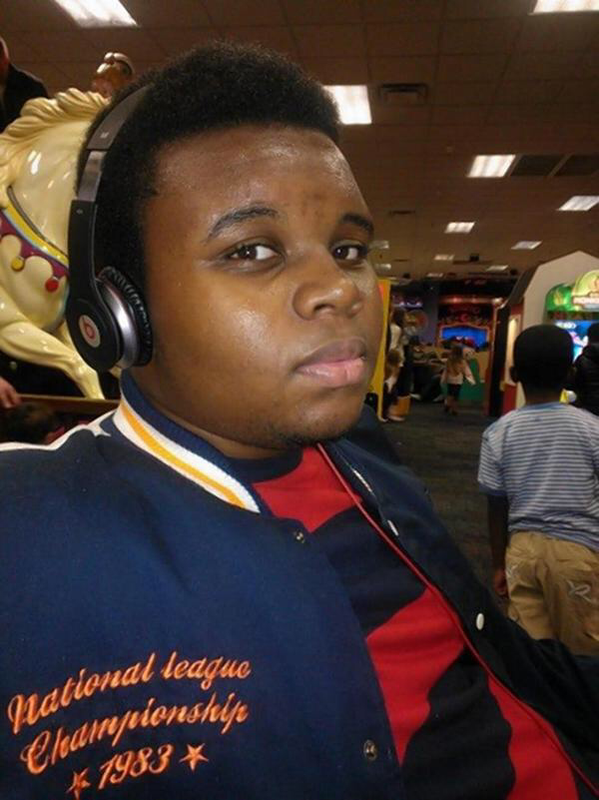 Darren Wilson not only fell to protect Michael Brown, he violated his Civil Rights. Injustice in a Civil Society should be the litmus test by which we stand not respectability. 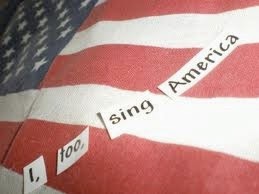 If respectability was the standard, every American would have fallen short at least once in their life-time. Footnote: The term Politics of Respectability was first coin by Evelyn Higginbotham a scholar at Harvard who researched Black Baptists Women's and their engagement in politics during the late 1800's. She coin this term in her book "Righteous Discontent" The Women's Movement in the Black Baptist Church, 1880--1920.